“Last Week Tonight’s” John Oliver was able to explain the mess that is the cannabis laws in the US, keeping the industry from further success. 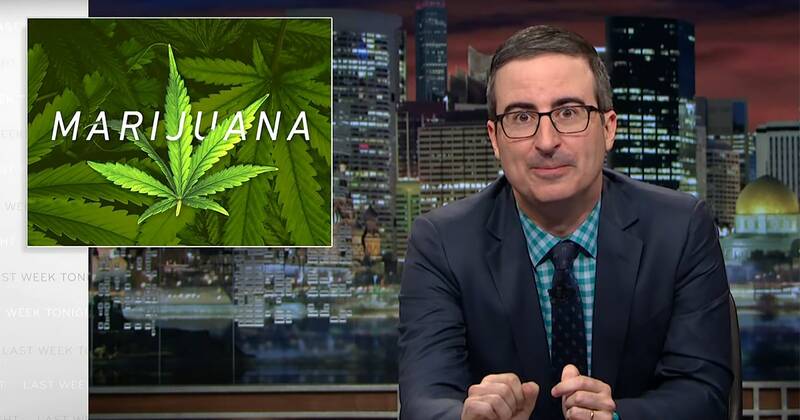 This week, Last Week Tonight’s John Oliver was able to explain the mess that is the cannabis laws in the United States, which keeps the industry from further success. Whatever the issue, John Oliver is always there to break it down for everyone, as well as making for all kinds of hilarity. This time around, Oliver explains the complex and contradictory system that keeps the cannabis industry from growing. As expected, he begins with the typical stereotype of a “stoner” – yeah, that’s you, Greg – but it gets deep down into the quagmire that is federal and state cannabis laws that work against the other, which aren’t easy to explain. But the comic-slash-newsman dissects it all and makes it accessible to anyone with a sense of humor. If you have marijuana, right now, even if you are acting completely legally according to your state, you may still be in serious jeopardy. Legal marijuana businesses have struggled to get bank accounts, because, at the federal level, they are still seen as criminal enterprises. So if banks took their deposits, that could be considered money laundering. This has meant that the businesses have had to operate all-cash. So, just how inconsistent are the cannabis laws from state to federal? Well, it’s a nightmare for everyone involved, as even those people complying with state laws are probably still at risk at the federal level. Obviously, that’s a problem, especially when 44 states – yes, 44 states – have some form of medical marijuana law, while eight of those have legalized recreational use. Plus, the public perception of weed has been changed dramatically, despite the aforementioned stereotypical image of a “stoner” is used in media – including this clip.